It’s a well known fact that colours influence spirit, disposition and even decision of a person. A lot of you have blogs, web sites where you are free to choose the colour. When speaking about the web site it’s better to think before its creation what reaction it will cause from the visitors of your website. The colour psychology is worth to be examined now for not to remake it later. Hot colours are strength and aggressiveness. Deep red colour is often used in web site design to attract attention. Cool colours symbolize leadership. Such colours remind us of cold, ice and snow. Blue is the coolest colour, it conveys trust and loyalty. Light colours mean safety, purity, and cleanliness. It conveys the feeling of calmness and peace. Dark colours cover the space and decreases visually the space. 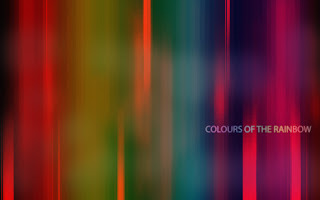 Such colours are often associated with formality, elegance and prestige. Yellow is the colour of happiness. Mostly associated with joy, intellect and clarity. Golden colours symbolize wealth. Yellow colour is considered to be the most visible colour. Orange is a power color.Orange has very high visibility, so you can use it to catch attention and highlight the most important elements of your design. Green is a colour of safety. Light green calms down and, bright green is associated with the energy of youth, dark green renders the feeling of stability and growth. Grey colour suggests formality, disaffection and practicality. Here we can also add wisdom and progress. Sure, it is not the full range of colours with a short description of feelings they ivoke. So before creating a site design it is worth taking into account the colour factor. As it is said better safe then sorry.